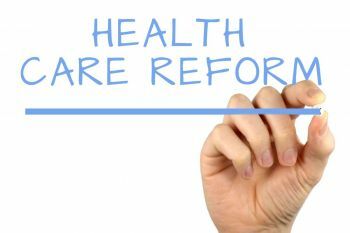 Healthcare has emerged as the most important issue in the 2018 midterm elections, according to the Kaiser Family Foundation (KFF) poll – 71% say it’s a “very important” issue to them, and 30% say it’s the most important issue. In both cases, that’s the highest percentage for any issue. 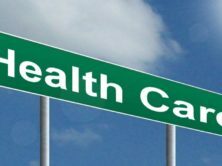 The reasons for healthcare’s importance are not hard to find, given the controversies over the Republican efforts to repeal the Affordable Care Act. 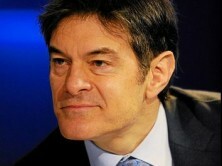 Often referred to as Obamacare, the legislation was passed in 2010 without any support from the GOP. In an ironic twist, popularity of the ACA surged just as Republicans took full control of the government in the 2016 election, after campaigning on a promise to repeal the law. 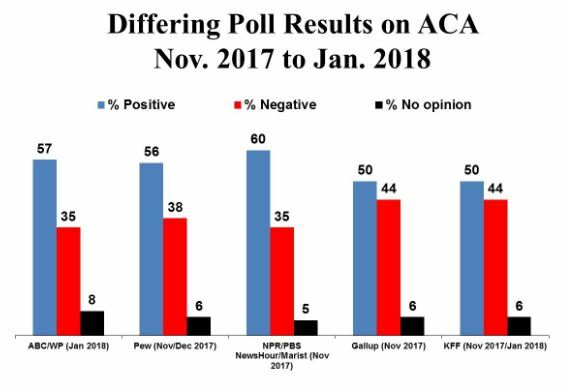 As the graph shows, public views of the ACA were more negative than positive from 2010 until Donald Trump was elected president in 2016 and the Republicans won majorities in the House and Senate. 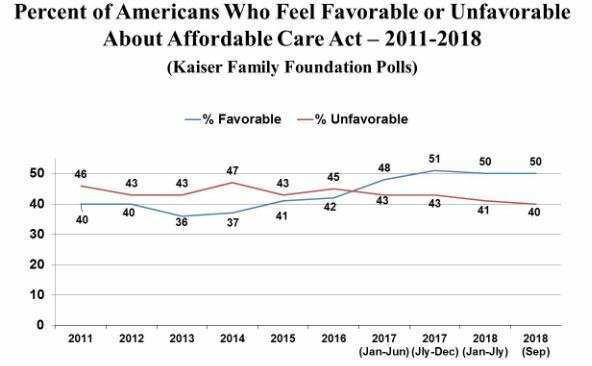 The first time the public expressed more favorable than unfavorable views for the ACA was in the months immediately after Republicans made it clear they would use their newly obtained power to repeal the law. From that period until now, the margin in favor of the ACA has remained positive. A similar conclusion can be drawn from the series of Gallup polls conducted from 2013 through 2017. Gallup did not poll as frequently on this issue as did the Kaiser Family Foundation, but it did conduct several polls each year: seven polls each in 2013 and 2014, and three polls each in 2015 through 2017. The figures shown in the graph represent the average results for each year. As with the Kaiser Foundation poll, Gallup shows net positive views for the ACA emerging only after the GOP won full control of the government in 2016 and vowed to completely repeal the legislation. 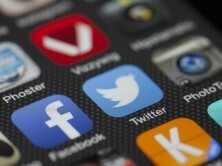 Despite the similarities produced by these two polling organizations, other polls suggest that opinion on the issue appears to vary depending on the wording of the question. As the graph reveals, polls by the ABC/Washington Post, Pew, and NPR/PBS NewsHour/Marist all found substantially higher levels of support for the ACA than did either Gallup or the Kaiser Family Foundation, even though all the polls were conducted in roughly the same time period. What’s particularly interesting is that the wording of the questions among the first three were quite different from one another, and yet still produced similar results. The wording for the Kaiser Family Foundation, and separately for Gallup, is the same wording each organization used in its respective series. Pew: “Do you approve or disapprove of the healthcare law passed by Barack Obama and the Congress in 2010?”(Approve = 56%; Disapprove =35%). 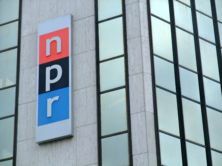 NPR/PBS NewsHour/Marist: “Which one of the following comes closest to your opinion about what Congress should do with the Affordable Care Act known as Obamacare? Let it stand (19%); Change it so it does more (41%). [Total positive: 60%)] Change it so it does less (7%). Repeal it completely (28%).” [Total negative: 35%)]. Note that the question wordings by Gallup and Pew are similar, but each reports quite different results – Pew showing that approval outweighs disapproval by a margin of 18 points (56% to 38%) while Gallup reports a margin of just 6 points (50% to 44%). Complicating our interpretation of poll results even further are the results of a Quinnipiac poll in June of 2018, which found 51% of Americans saying they want “the Affordable Care Act, also known Obamacare to remain in place,” while 44% “would like to see Obamacare repealed.” These results are quite similar to those obtained by the Kaiser Family Foundation the same month, but clearly less positive than the results reported by the three other polling groups. It’s not at all clear why Quinnipiac, Kaiser Family Foundation, and Gallup all show modest net positive margins for the ACA, while the other polls all show margins that are about twice as large. Question wording by itself does not seem to be the cause of the differences, given the different wordings that produced similar results for ABC/WP, Pew, and PBS/Marist; and the similar wordings by Pew and Gallup that produced quite different results. 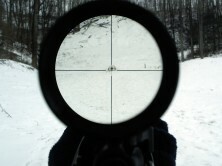 Timing also does not appear to be a factor, since the above comparisons were made in similar time frames. And all the polls were conducted by phone, eliminating mode of interviewing (phone vs. online, for example) as a cause of the differences. 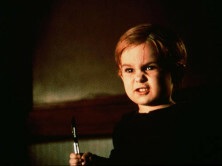 Thus, it’s most likely that the overall design of the questionnaire could have led to one outcome or the other. If there were many preliminary questions, for example, that seemed to elicit positive views of the ACA, or problems with obtaining healthcare, such a context could lead to more positive views of the ACA more generally. However, without a careful analysis of each questionnaire, we are unable to explain this set of largely discrepant poll results. 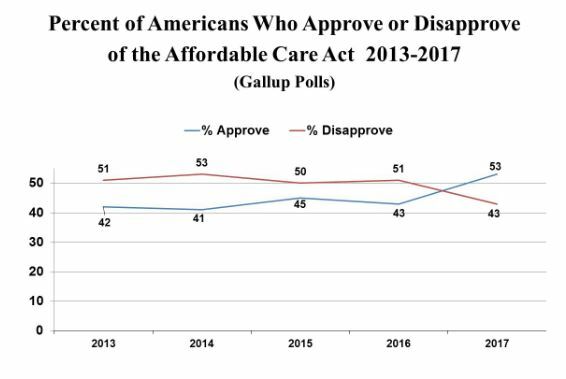 Still, the overall conclusion seems to be that in general, the public appears to have a positive view of the ACA these days – either somewhat or very positive, depending on the poll. Another reasonable conclusion is that opinion on the ACA has undergone a transformation from mostly negative to mostly positive, and that the transformation occurred probably in reaction to the GOP’s effort to repeal the ACA. It is surprising how consistent public opinion was prior to the 2016 election, as revealed by both Gallup and the Kaiser Family Foundation – with each using the same question wording over time, and finding only small variations, until 2017. The major limitation of all these polls is that none includes a measure of intensity – how strongly people feel about their views. From an electoral perspective, intense feelings have a much bigger impact on a person’s vote than lightly held views. Nevertheless, flawed as they are, these polls do provide some insight into the public’s change of mind about healthcare, and why it has emerged as one of the most important issues in the upcoming midterm elections.